BentoLunch.net - What's for lunch at our house: Featured Friday - Thanksgiving Turkey Foods! Featured Friday - Thanksgiving Turkey Foods! In the process of this week's Sandwich Spin posts, I decided to hold the Featured Friday for the weekend. 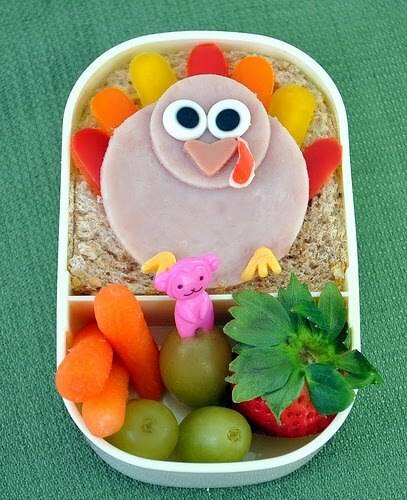 Since it's Thanskgiving week, what could be better than a bunch of turkey bento ideas! Turkey shaped sandwiches don't have to be complicated at all. Actually, from a round sandwich, it's pretty easy to make a turkey! Just use your favorites to make feathers, faces and beaks, and voila! A turkey! Mine from last year--the turkey is cut from cheeses, using a circle cutter and part of a duck cutter. 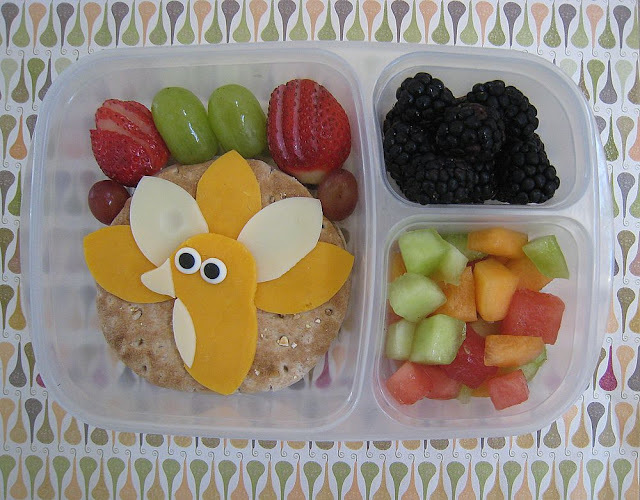 From Cute Food for Kids, a simple turkey sandwich with cheese feathers and a bit of pepper and nori for accents. From Crouching Mother, Hidden Toddler, this turkey has feathers made from multi-colored bell peppers, using a the ears on a bunny cookie cutter to shape them. Want more Thanksgiving lunch inspiration? Check out these Fun Thanksgiving Foods! Cute bentos! Let people know they can participate in the Thankgiving Bento Link-Up at Diana Rambles. Entries taken through Nov 27! Thanks for sharing my lunch with your readers! =) Have a fantastic day! Love all the turkeys! 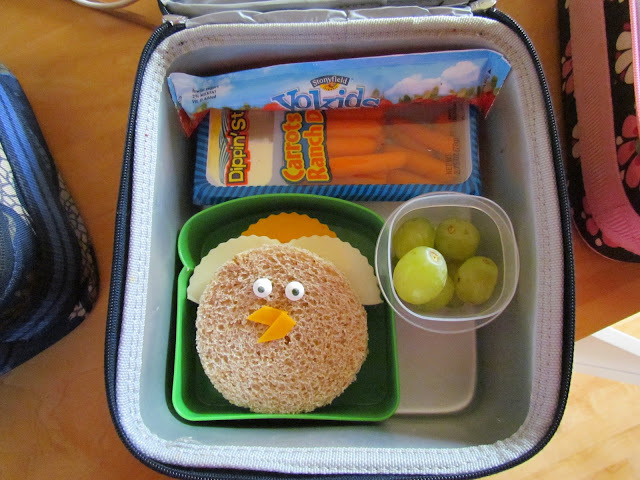 Funny that turkey is so widely represented in bento for T-day. Have a great holiday!